Thanks to Zondervan for allowing me to be a part of the ZBlog Squad review team. I received this book for free in exchange for an honest review. I was not paid for this review and all opinions expressed are 100% my own. 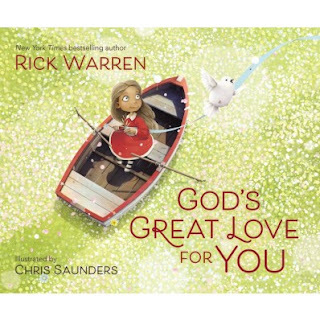 This hardcover book from Rick Warren is a very quick read with TRUTH on every page about the LOVE of God. I think the illustrator, Chris Saunders, made some beautiful pictures really capturing nature and God in creation in a comforting and phenomenal way. All ages can enjoy this beautiful book.